The budget phones have gotten better, and every month we see the bar raised for the affordable phones. 10.OR (pronounced as Tenor) is a new kid on the block, and the 10.OR D is their 3rd phone in the Indian market. Similar to Flipkart owned Big Billion Capture brand, Amazon India is also working closely with the Shanghai-based Huaquin Technology group. The phones are manufactured by the Chinese company and are marketed and sold by Amazon. There are a lot of mobiles available below the 6k range that come with decent specs and features. Let’s find out if the 10.OR D offers something exceptional for the price. We managed to get a fresh unit of the 10.OR D but it is the higher version that comes with 3 GB RAM and 32 GB storage, available for Rs. 5,999. The lower version comes with 2 GB Ram and 16 GB internal memory, available for Rs. 4,999. The 10.OR D comes in a dark blue box, with yellow colored titles printed over it. I like opening packages that arrive from Amazon or Flipkart. There is always a bit of excitement and curiosity to cut through the brown colored cardboard boxes. To find something new inside, to unravel a new mystery. Anyways, coming back to the 10.OR D, the phone is nicely wrapped in plastic bag, and the bottom compartments of the box contain the power adapter and the micro-USB cable. Also, there is a sim-ejector tool and a thin user manual. The 10.OR D looks familiar and comes with a conventional design, nothing out of place or odd about it. Besides, nothing is striking to notice about its looks. It has a boxy look but is light and thin in spite of having a massive capacity battery. The back cover is made of poly-plastic and has a smooth black colored surface. The rear cover has a single 13 MP camera and a fingerprint scanner that is rare in this price range. Also, the speaker is located on the back side while the bottom hosts a micro-USB port. Further, there is a headphone jack at the top. On one side it has a power button and volume rocker, while the other carries the sim-card slot. The mobile has a 5.2 Inch HD (1280*720 pixels and 280 PPI) display, sandwiched between large upper and bottom bezel. There are on-screen navigation keys only; in fact, the bottom bezel does not carry any capacitive keys. Notably, the display is white, more white than most phones and outdoor legibility is also passable. Colors seem to be a little oversaturated but not overwhelming. Like the no-frills design 10.OR believe in keeping the experience simple and straightforward. Consequently, it comes with the stock Android Nougat 7.1.1 OS with least amount of bloatware. However, there are few Apps from Amazon (Prime, Shopping, and Kindle) pre-installed, additionally a 10.OR care App is also present. Apart from these, there are standard Google Apps like Gmail, Maps, Chrome, photos, and File Explorer. You can dive into the settings to find standard options to change display, sound or connectivity settings. Furthermore, it comes with a Fingerprint scanner at the back. Getting started with the fingerprint Id is easy, navigate to security settings and register a fingerprint. It works most of the time, and as aspected is neither the fastest nor a slouch. The 10.OR D comes with a 13 Megapixel rear camera with LED Flash and autofocus support. The same simple and straightforward approach apply to the camera App, it comes with essential features and filters. There are some filters like sepia, B&W, and Blue to change the color profile. Moreover, it has a beautify mode that comes with a few settings to adjust softness, complexion, eye widening, and face slimming feature. I tested the camera in different conditions and here are the sample images. Also, I have uploaded the full Version of the images on Flicker – You can access the Full-Size Images here. Let’s start with the images taken indoor and low light conditions. The above image is clicked without flash; the below image is clicked using the rear flash. The indoor low light images can have a high amount of grain and noise. Outdoor Image Samples 10.OR D. Below images are taken outdoors in bright sunlight and using the HDR mode. Below Image is clicked without HDR in the same light conditions. The image with HDR mode is visually more bright, appealing and detailed. Here I am, Winter is Coming, nope I don’t want more Winter. Below image is shot with the 5 Megapixel front selfie camera. I like the selfie camera more on this phone as it can take better shots even in the indoor conditions. Also, the beauty filters can improve the selfie shots, edit a bit in Snapseed or Photoshop to make it even better. Even better try the new Meitu selfie App on the play store to use AI or the ART BOT feature. The mobile comes with the Quad-Core Snapdragon 425 processor clocked at 1.4 GHz and with the Adreno 308 GPU. Notably, I use a Samsung S7, even a bit of lag is more apparent to me. The general performance is smooth, but once you open 2-3 chrome tabs or more Apps, there is a bit of stutter. Probably it requires a software update as the processor and 3 GB ram seems to be sufficient to run Android and latest Apps. However, it is not too much, and you can work on it without worrying much. Gaming – I tried several games like the Fifa 2018 and the Need for Speed No limits on the phone. 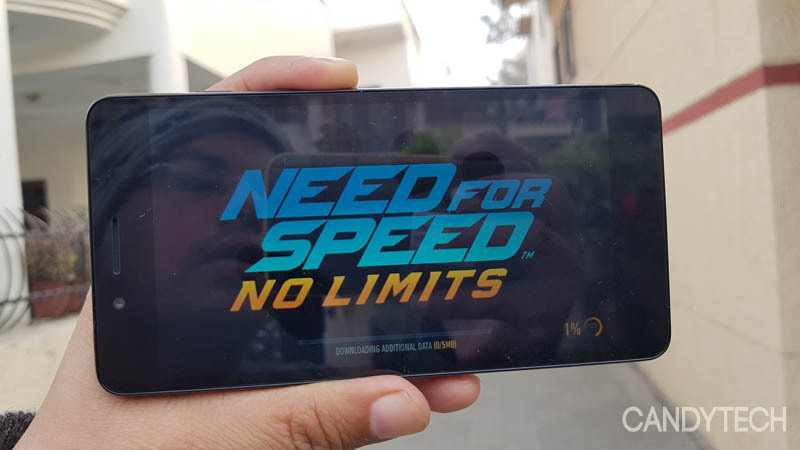 While the Fifa 18 runs smoothly, the Need for Speed No limits, show some frame drops and even the Asphalt 8 Nitro, had the same concern. However, in medium settings, games are playable without any glitches. Also, there is no heating even after playing the games for some time. Multi-Core Benchmark Score – 1800. In comparison to the Mediatek 6737 used in the Infocus Vision 3 and several other phones, the Qualcomm Snapdragon 425 is faster. The Qualcomm Snapdragon 425 is about 10% faster in comparison to the Mediatek 6737 as per the benchmark scores. GeekBench Score 587 for the single-core, and 1643 for multicore. On the Antutu benchmark, the processor scores 33723. Furthermore, the battery life is a delight on the 10.OR D, and it can last an entire day without the need for a charge. It is a Brobdingnagian sized battery – 3500 mAH. However, the phone lacks quick charge support and can take close to 3 hours to charge fully. I am using the phone with the Reliance JIO 4G Volte Sim, and until now there are no quirks, as far as call quality or data usage is concerned. Notably, the phone comes with a dedicated micro-sd slot, and there are 2 sim card slots. You can enjoy dual sim as well as a dedicated micro-sd card. Besides, the speaker volume is not very loud, and the placement at the rear side makes the sound muffled when placed on a flat surface. For a price of Rs. 5,999 the 10.OR D is an unmissable, bargain deal. There is nothing much to complain about, however here are some of the things that are great and others that could be better in future iterations. To sum up, 10.OR D with its class-leading specs raises the bar, offers features that are provided first time at this price. It is a tempting deal for bargain hunters. 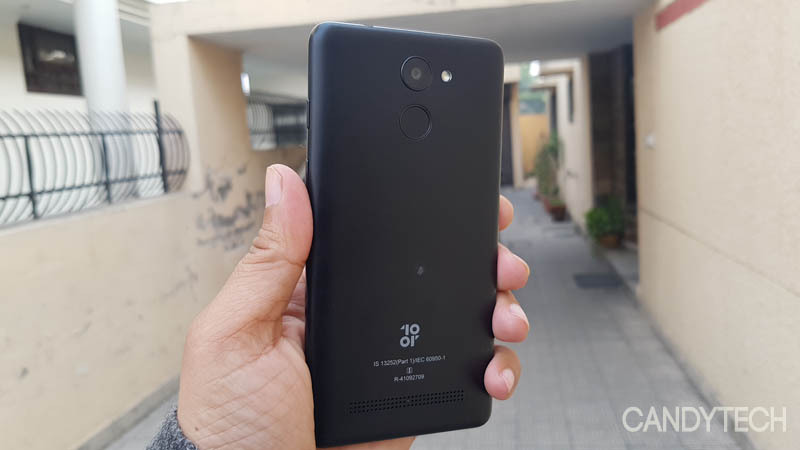 Additionally, You can read the review for the 10.OR E or Xiaomi Redmi 4A here. The 10.OR D is an affordable phone with tons of features and class-leading specs. A good bargain deal for people looking to buy a low-cost 4G mobile.